Only one of the inter-provincial rivals could win. So it was Team Saskatchewan that walked away from Shaw Park with gold in baseball Friday night. They beat Team Manitoba 3-1. After three innings, Saskatchewan was holding Manitoba at 2-0. Manitoba made a big swing in the bottom of the sixth to make it 2-1. But in the seventh and final inning, Team Saskatchewan notched another run to take home the gold 3-1. It was their first baseball gold in Canada Summer Games history. Manitoba was heavily favoured to win, having won all five of their round-robin games, scoring 34 runs and only allowing nine. It was closer during the semi-final against Alberta, winning 1-0 Thursday to make it to the gold medal match. ​Saskatchewan was in the middle of the pack with three wins and two losses, scoring 15 runs but allowing 24 runs against. However, they dominated against the higher-ranked Ontario team Thursday, blowing them out of Shaw Park 7-0. "We were doing everything we could, again, it wasn't the outcome [we wanted] but we are proud of all the guys," said Jon Patmore, 18. More than 7,000 people turned out to watch the game. Patmore said the crowds at all the games were amazing. "We could have been out of that game early but we wanted to do it for the fans. They've been great all week," he said. "We've always had packed houses but they've really kept us going." 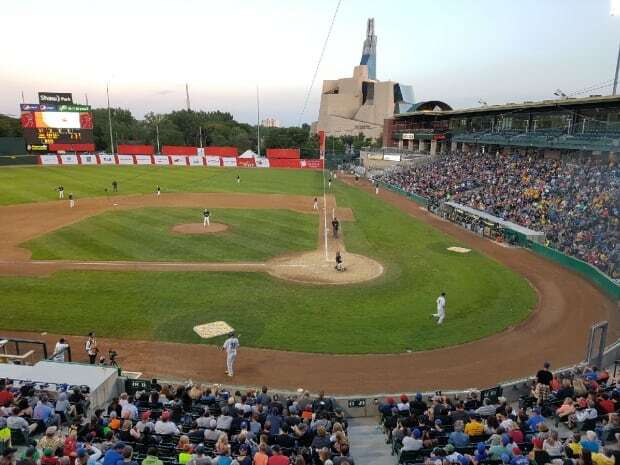 Noah Geekie, 17, said he hoped the run in the bottom of the sixth would give Manitoba the momentum they needed, but in the end it was the only one they could muster. "That's the game of baseball. That's what happens," he said. But walking away with a medal is a big accomplishment for the team, he added. Manitoba last took home a silver in 1985. "Definitely disappointed that we couldn't finish the job but a silver medal is still pretty impressive in the Canada Games in your home province," he said. "I'm sure nobody thought we were going to do this well." The memories of playing with his teammates in front of giant crowds also lit a fire in him, Geekie said. "It's nothing I've ever seen before and it's definitely something I'm going to remember for the rest of my life," he said. Team Alberta won bronze earlier Friday evening.